Goldilocks and Baby Bear represent the innate connection between child and animal. A human is born with a feeling of oneness to animals with no desire or instinctual need to harm them. 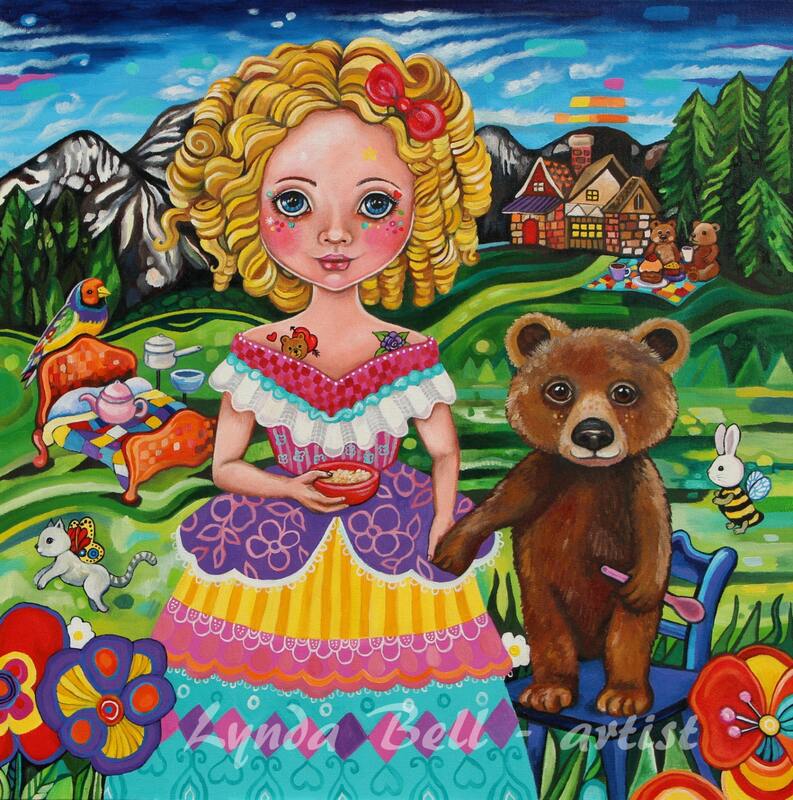 The abundance of animal characters in fables and fairytales such as ‘Goldilocks and the three Bears’ shows how closely young humans relate to their fellow earthlings This is a fine art print of the original painting (watermark will not be included),using archival inks. Check out my FB page: 'Lynda Bell-artist' and instagram: @lyndabell_artist for exhibition updates and more art including original paintings and illustrations.